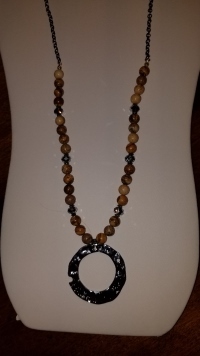 34 inch long stone necklace. Small stones are various shades of beige and clear. Round gold pendant drops from stones. A very versatile and neutral piece for outfits.